sterling silver jewellery york fashion jewellery Gold and Silver Heart Earrings Sterling silver jewellery range of Fashion and Danon jewellery. Part of Rue B's heart jewellery range these multi tone stud earrings would be a lovely accessory to any outfit. The earrings are made up a small sized heart, a gold base with a smaller silver heart on top. Multi tone jewellery is a massive trend and very wearable as you can mix it with gold or silver jewellery. 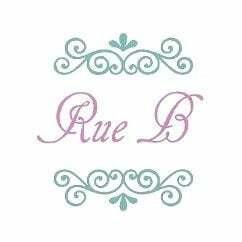 Part of Rue B's heart jewellery range these multi tone stud earrings would be a lovely accessory to any outfit. The earrings are made up a small sized heart, a gold base with a smaller silver heart on top. Multi tone jewellery is a massive trend and very wearable as you can mix it with gold or silver jewellery. All of our jewellery comes wrapped in tissue paper and placed in a gift pouch. We also have a range of gift boxes available to help to make your purchase even more special.